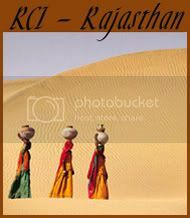 I was searching for rajasthani recipe luckly found this sweet recipe in Taradalal recipe site. I tried my level best to get the shape of Mava Malpua, hope all like it. This is mava kachoris are famous in Jodhpur. 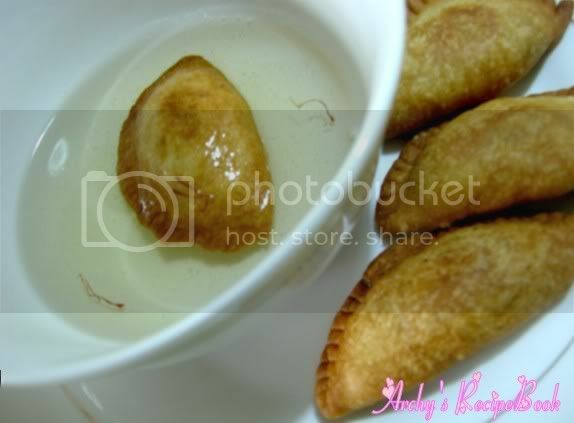 Rich dry fruit and mava (khoya) stuffed crisp deep fried kachoris are coated in sugar syrup. These kachoris are a welcome treat at any time of the day. 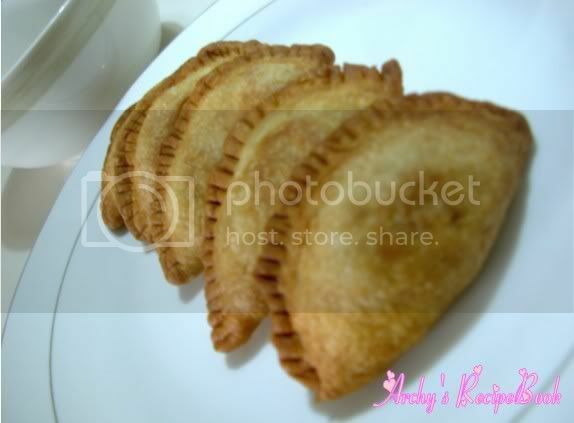 These sweet kachoris are often called "Gujjias" and are a "must have" for the Holi festival. Can store these for several days in an air-tight container. I'm sending this to Padmaja's - Spicyanna for RCI - Rajasthan. Thank you making me try Rajasthani recipes. Enjoyed participating. Updated : I'm also sending this Mava Malpua to Easy Craft's - Think spice - Think Caradamom. I came to know today, so just sending my entry. Easy Craft thank for the event. I used half of the quantity, depends on the size and shape we make the dough. I made a small size malpuas. These are the measurement given in Tarladalal site. So,here it goes..
1. Combine all the ingredients and knead into a firm dough using enough water. Knead well for approx. 5 to 7 minutes. 2. Allow the dough to rest under a damp muslin cloth for 10 to 15 minutes. 3. Divide the dough into 12 equal portions. Keep aside. 1. Dissolve the sugar in ½ cup of water and boil the syrup for 4 to 5 minutes. 2. Add the saffron and mix well. 1. Mix up all the filling ingrediants. 2. Divide the dough,roll out each portion of the dough into round shape. 3. Place a portion of the filling in the centre and fload it. 4. Turn the edges of the kachori. (I used a knife to make the edges design). 5. Deep fry the kachoris in hot ghee/Oil over a slow flame till the kachoris turn golden brown in colour. These take a long time to fry as the crust is thick and needs to be cooked on the inside also. 6. Drain on absorbent paper and allow the kachoris to cool slightly. 7. Dip the kachoris in the hot syrup. Drain and keep aside. You can even serve these kachoris without dipping them in sugar syrup also. They came out well the kachori. Ur sweet is very tempting..
this is awesome! !i have had similar stuff in goa,one of my friend gave me..nevri or something like that except not soaked in syrup!! !it was delicious!!! Wow, tht is a cool dish..Looks rich with mava and all..Can eat all those from tht plate..
they look like our kajjikayalu. lovely recipe archy! looks delish. Wow, Ya.. Even my mumi used to make Nevri. I loved it, stuffed with coconut,cardamom, jaggery.. Yummy. Shall put on that recipe some day. Ya, We call it Kajjikai/Nevri.. Only the stuffing deffers and no soaking in sugar syrup :) !! 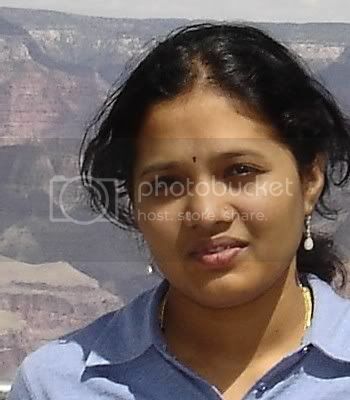 Ur from Bangalore, wow great ha !! Come down to my house i can also serve u :) !! Oooh! They look so sumptuous & rich! !Great job, Archy!! Lovely entry Archy, wonderful recipe, looks delicious!!! I did the recipe the same way as mentioned in urs.. but I just wanted to know if this recipe's final roduct will be crispy or soft? Thanks for trying out!! When i tried the final product was crispy.. it was really gud.. ! !